So my guy looooves video games and both of us are children at heart, so when a friend (Thanks Kaylen!) 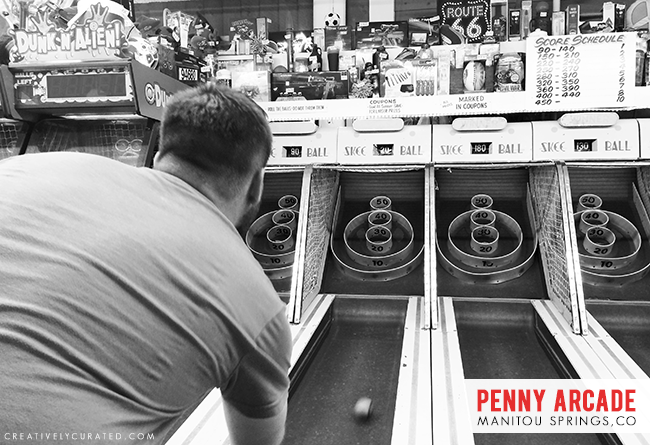 mentioned to stop at the Penny Arcade while in Colorado Springs we just had to. This place has more games than I could count on my hands and toes, an most of the games were a quarter, some even 10 cents! 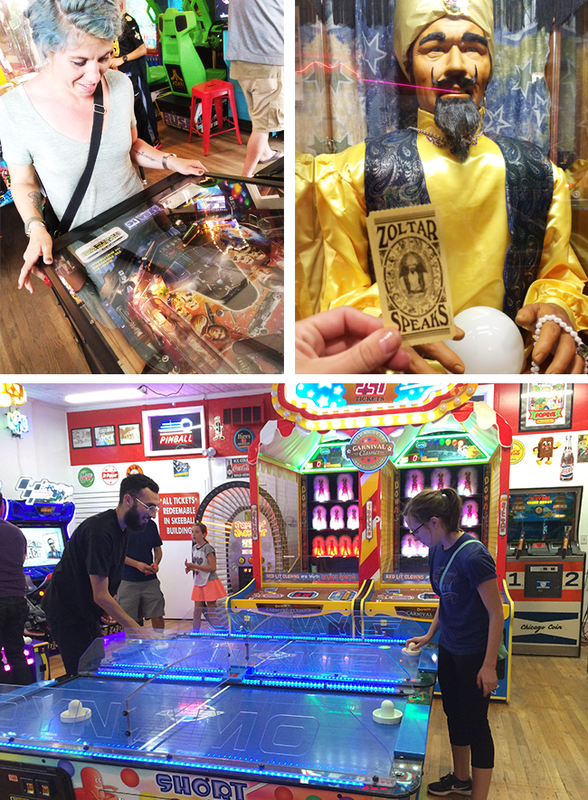 We tried out our hand at all of our favorites, Rampage, Ms Pacman, Pinball, Tetris and even a little Skee-Ball, plus we meet up with a few local KC friends who traveled out to Colorado which made it even that much more fun. 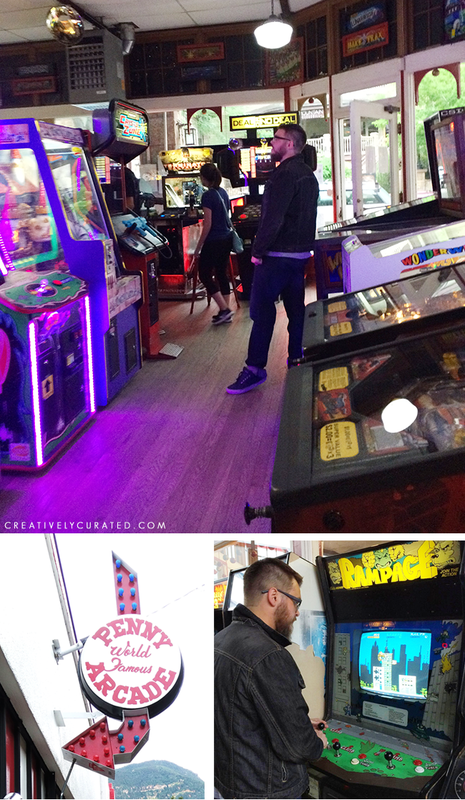 If you visit the Manitou Springs area make sure to pop on in here, an people with kiddos, this stops especially for you, and they have ice cream and taffy to get your sugar high on while gaming.